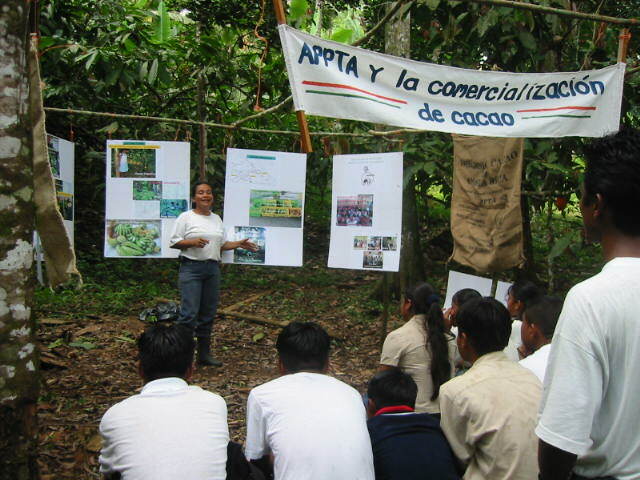 Facilitating a process that transformed Cocabo’s cacao growing, extension and marketing practices into being 100% certified organic and Fair Trade. Diversifying the farms of more than 900 families who planted thousands of fruit trees all across the landscape of Bocas del Toro Province. Guiding a strategic planning process during an organizational crisis. Carrying out 3 learning exchanges for young leaders from Cocabo’s communities. Facilitating a collaborative relationship between Cacabo and APPTA. Supporting a diversity of organic agriculture growing, processing and marketing initiatives. Supporting the creation and consolidation of more than 30 indigenous and campesino ecotourism initiatives. Putting into practice a landscape-scale soil conservation initiative in Costa Rica’s two most degraded watersheds. Pioneering the creation of sustainable community fisheries areas all along the country’s Pacific coast. Thousands of campesinos, indigenous people and students have visited ANAI and the organizations that have grown out of its work. This has inspired some of these visitors to put into practice sustainable activities learned through these peer exchanges.